The Auxiliary Input adapter SoundLinQ3 SL3U allows you to add 1 auxiliary RCA audio source (uncontrolled) to your Toyota/Lexus OEM audio system, while still being able to maintain full functionality of all factory installed components. Like all VAIS Technology products, we offer OEM grade fit, finish, and performance. Say Goodby To FM Modulators and Tape Adapters! Listen to your MD player, MP3 Player, portable Satellite Radio Receiver, Android Phone, Android Tablet, computer, etc. without the need for Tape Adapters, FM Transmitters, or an FM Modulator. Top quality sound and ultimate convenience. 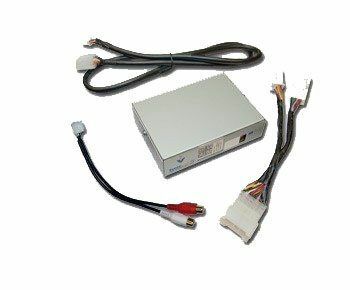 SL3U provides a direct Plug-and-Play connection to your Toyota/Lexus OEM audio system. 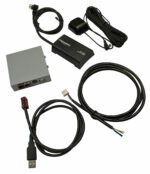 SL3U supports vehicles whether they are equipped with Navigation System or not. Our unique technology allows you to keep all factory installed components (such as 6-disc CD changer, CD/DVD changer). When you connect SL3U to the audio system, Toyota/Lexus recognizes it as an additional CD changer. You don’t lose anything by adding this accessory to your vehicle.